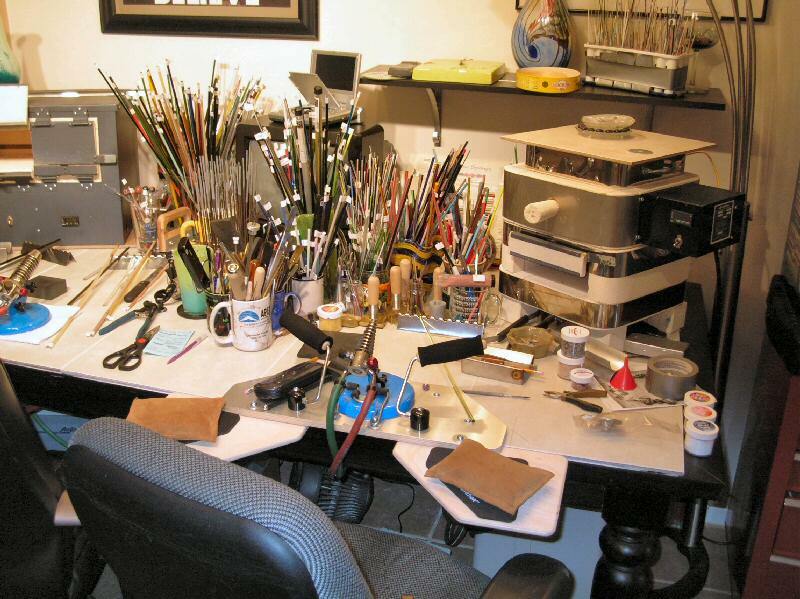 Shown here is our main flamework and lampworking studio where we make most of your beads and fine glass art! 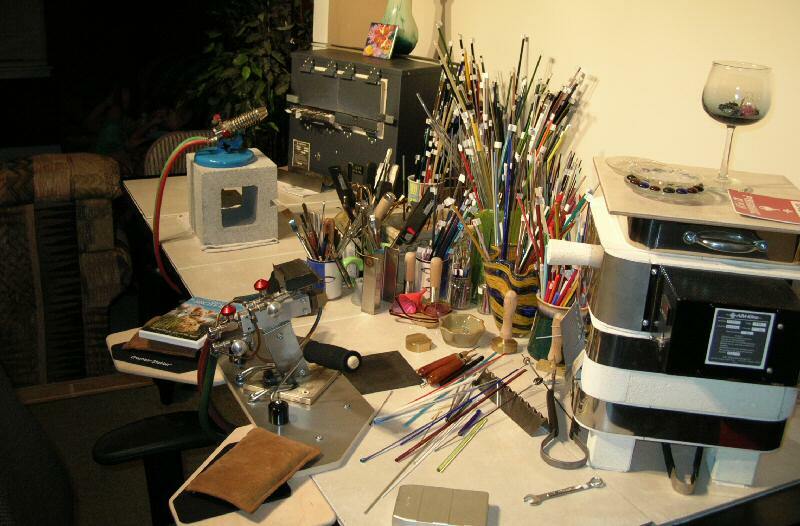 Another aspect of 5 Fish Designs is our Cold Shop (not shown here) which is where glass cutting and lapidary work is done. 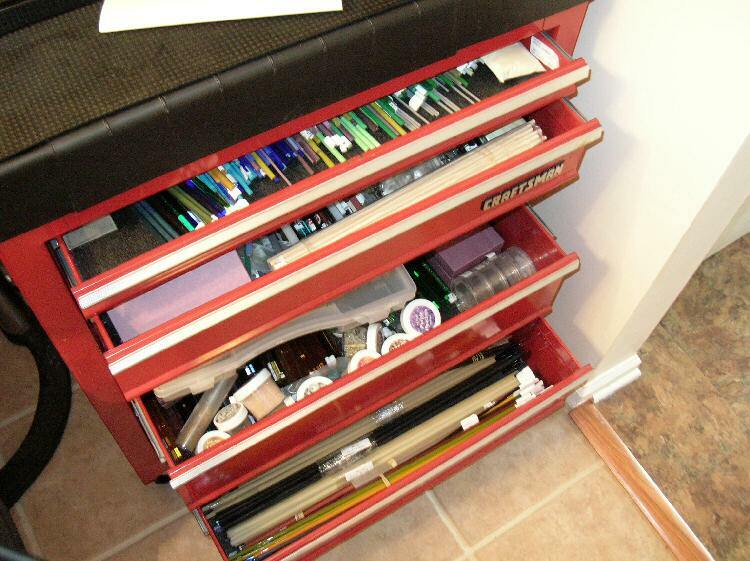 That part is done in the garage...boring! 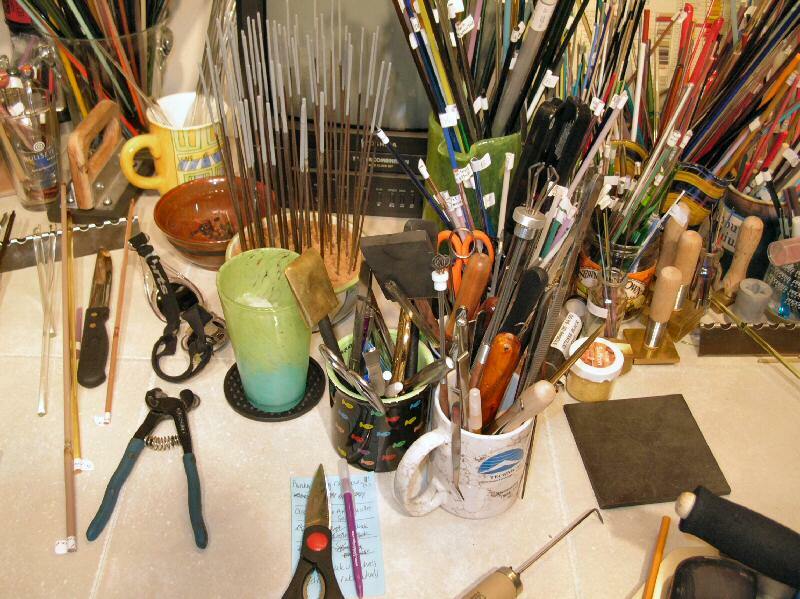 We have equipped our studio with top of the line flameworking tools to ensure the quality of our designs. We hope you enjoy your visit in our studio!